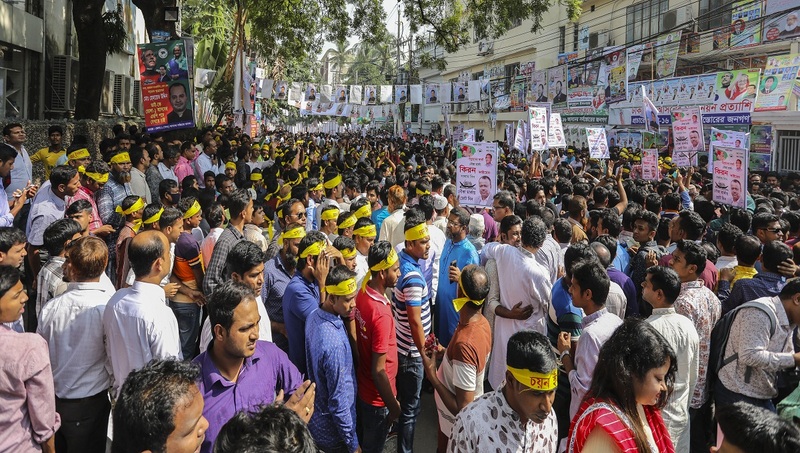 Photo: People gather in front of AL’s Dhanmondi political office for collecting nomination paper. Dhaka, Nov 9 : Awami League on Friday started selling its nomination papers for the forthcoming 11th parliamentary elections. AL General Secretary Obaidul Quader inaugurated the sale of nomination forms at AL president’s Dhanmondi political office around 10:00 am by purchasing a nomination paper on behalf of party president Sheikh Hasina.